A Vanguard target date fund is always a smart choice. Or you might chase a slightly higher return with a Schwab growth fund. Finding the right investment can be a challenge when you're opening a new IRA. There are literally thousands of mutual funds and exchange-traded funds to choose from, with widely varying degrees of risk. That's why we're always asking the best money managers we know for their latest recommendations. Follow their advice and you'll be on your way to building a well-diversified Individual Retirement Account that will weather Wall Street's ups and downs with below-average drama and a reasonable rate of return. This month, for example, Joseph Pitzl says the first place you should put your money is in a target date fund. These are hybrid funds that hold a mix of stocks, bonds and cash, and constantly rebalance their positions as you grow closer to retirement. They're designed to serve as a single fund to cover your exposure to the entire market. You should select a fund that is closest to a year when you may retire. So if you're 35 years old and plan to retire at age 65 or 70, you might select a 2040 target date fund. "The fund will readjust itself between stocks and bonds every year," says Pitzl, a principal at Intelligent Financial Strategies in Minnetonka, Minn. "It's a good way to make it automated and maintain a diversified and balanced portfolio." Like any investment, target date funds aren't an end-all strategy and they're not perfect. But they're a pretty decent option and way to put your money to work until you learn more about the market. If you're between the ages of 36 and 40, one option is the Vanguard Target Retirement 2040 Fund (VFORX). 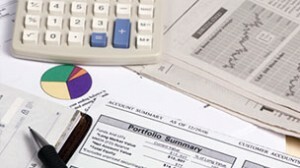 Fidelity Freedom Funds also offer various target date funds. If you were between 45 and 50, you might choose the Fidelity Freedom 2025 Fund (FFTWX). It currently holds about 70% in stocks and 30% in bonds. It has a 0.72% expense ratio. 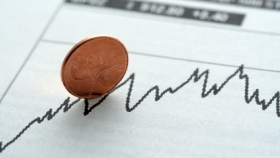 The fund's 1-year and 5-year returns are 11.28% and 4.12%. Cathy Pareto, the owner of Cathy Pareto & Associates in Coral Gables, Fla., says another option is a low-cost global fund with multiple asset classes. One such candidate is the Vanguard Star Fund (VGSTX), a balanced fund with an allocation of 60% in stocks and 40% in bonds. It holds a mix of 11 actively managed mutual funds that give you wide exposure to just about every segment of the global bond and equity market. It's what is often referred to as a "static allocation fund" and has a relatively low fee of 0.34%. It's logged 1-year and 5-year returns of 11.80% and 6.82%. Whereas target date funds aim toward a date and shift your mix of stocks and bonds, a static allocation maintains that mix indefinitely. They are typically offered in a range of styles from conservative to aggressive. One such conservative fund is the Vanguard Wellesley Income Fund (VWINX), which has about 60% in bonds and the rest in equities. With a typical low Vanguard fee of just 0.25%, it's produced 1-year returns of 5.21% and 5-year returns of 8.46%. On the aggressive end, the Schwab MarketTrack Growth Portfolio (SWHGX) holds 80% in stocks, 15% in bonds and 5% in cash. Expenses are 0.65% with a return of 15.26% over the past year and 5.76% over the past 5 years. There are literally hundreds of single fund options such as these that give you a decent place to start. 5 things you should know about target date funds: Target or life-cycle funds can eliminate the guesswork in choosing your IRA or 401(k) plan investments as your risk is adjusted automatically over time. They have become an increasingly popular way to save for retirement. But their popularity doesn't mean they are without risk. So make sure you understand exactly how they work before adding them to your retirement plans. Just a couple of final thoughts for launching a successful IRA. Always, and we mean always, take the management fees into account when considering which mutual fund or ETF to buy. Let's say you contributed $5,500 a year to your IRA and averaged a 6% annual return over 30 years. If you paid a quite reasonable 0.25% in annual fees, you'd wind up with $440,000. If, on the other hand, you paid 1% you'd only have $384,000 — or $56,000 less. So every tenth of a point counts. And counts a lot. "It's critical to look under the hood and see what the expenses are because they have a big impact" on your return, says Pareto. If two funds look fairly similar, go for the one with the lower fees. And finally, Pitzl says, maintain a long-term view. The crashes and economic crises of the past decade have many younger people skeptical of the market. Resist the impulse to act on news you hear today. You shouldn't concern yourself too much about where your portfolio is today or in a couple of months. You should be thinking in terms of decades. "The best investment is one you can stick with," Pitzl says. "Don't get too aggressive. Take a balanced approach to learn to deal with the ebbs and flows of the market."